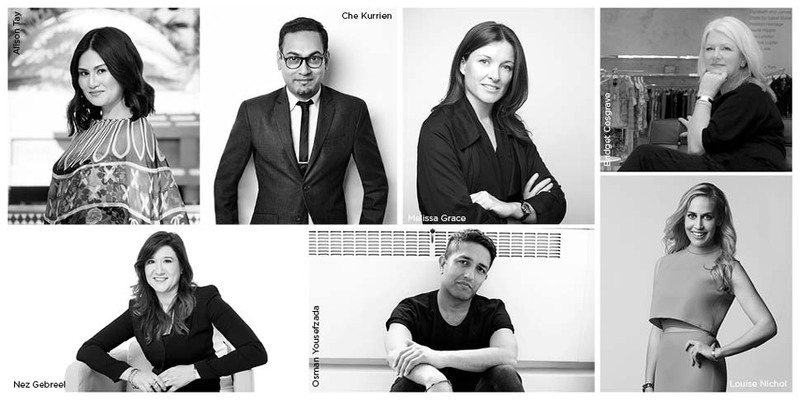 New Delhi, 18th June, 2015:The Woolmark Company today announced the esteemed jury panel for the India, Pakistan & Middle East regional round of the highly coveted International Woolmark Prize 2015/16, the award known for bringing emerging designers to the world stage. Most acclaimed London-based designer Osman Yousefzada will sit alongside industry stalwarts like CEO of the Dubai Design & Fashion Council Nez Gebreel, Editor-in-Chief Harper's Bazaar Arabia Louise Nichol, Editor-in-Chief of Grazia Middle East Alison Tay, The Woolmark Company's Melissa Grace, Editor of GQ India CheKurrien, and Bridget Cosgrave, Fashion and Buying Director of new retail partner Boutique 1. For the first time the event will be held in United Arab Emirates on July 22, 2015 at Vida Hotels and Resorts' boutique hotel Manzil Downtown Dubai. The event will shine the spotlight on the impressive growth of luxury retail in Dubai and the emergence of new designer talent from the United Arab Emirates and neighbouring countries. Eleven of the region's most promising fashion designers have been put forward by the official nominating bodies for India, Pakistan & Middle East: IMG Reliance (India), PFDC (Pakistan), Dubai Design & Fashion Council (UAE), and Starch Foundation (Lebanon). As the International Woolmark Prize enters its fourth year, it also aims at strengthening its retail partnerships globally. The luxury fashion retailer Boutique 1 has joined the network as the exclusive womenswear retail partner for the UAE. Comprising an online shop and bricks and mortar stores across Dubai, Abu Dhabi, Beirut and London, the multi-brand concept will stock the final winning collection from next August. Boutique 1 has joined some of the world's most exciting retailers championing Merino wool and emerging designs. The Woolmark Company is the global authority on wool. Through our extensive network of relationships spanning the international textile and fashion industries, we highlight Australian wool's position as the ultimate natural fibre and premier ingredient in luxury apparel. The Woolmark logo is one of the world's most recognised and respected brands, providing assurance of the highest quality, and representing pioneering excellence and innovation from farm through to finished product.